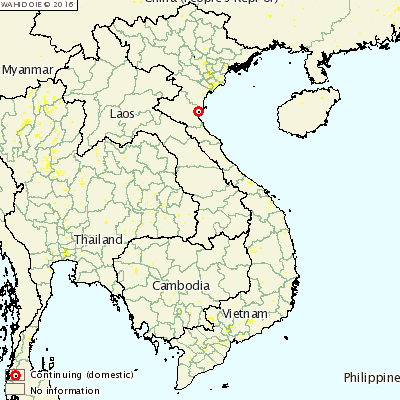 VIET NAM - A new outbreak of H5N1 highly pathogenic avian influenza has been reported in Nghe An province in Viet Nam. Fifty village birds died and another 150 were destroyed to prevent the outbreak from spreading. Viet Nam is implementing a vaccination regime in response to the outbreak, as well as disinfection, surveillance and stamping out.